Looking after a toddler can be an overwhelming task in more ways than one. Not only do you have to deal with your hyperactive kid who’s extremely curious about everything that he comes across, feeding time can seem like a long battle – often lost to the young explorer. You might be cooking up the healthiest meal for your child and in a matter of minutes see it splattered all over the table or floor. To make things worse, you often take this rejection of your cooking quite personally, which adds to the stress. 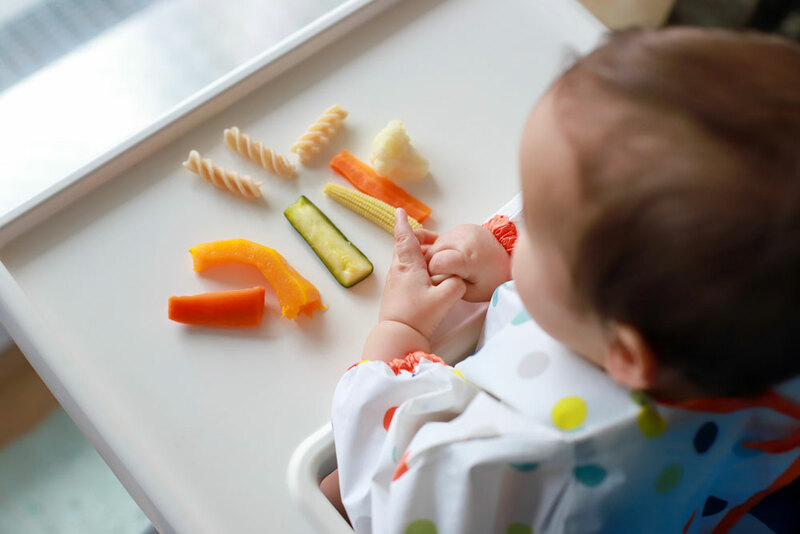 Let’s look at some successfully tried and tested tips on how to feed picky infants and toddlers. Offer small quantities of food at regular intervals throughout the day. Breaking the meals into small portions aids digestion and helps the body absorb the nutrients better. Make use of an ice tray to add different varieties of food in each section. Use foods of different colours to make it look more interesting. For example, you can place a variety of foods like bit-size pieces of boiled vegetables or cut fruits, cereals, cheese bits, etc. Also, give the above mentioned finger foods some interesting names or cut them into fun shapes. For instance, you can call broccoli florets‘little trees’ or thinly sliced carrots ‘swords’. Use your creativity or the vast amount of free online resources to come up with something new every once in a while and soon you’ll be a pro! Invite a few friends your child’s age and let them share a meal. Sharing food andwatching another child eat may arouse some interest in the food and also inculcate some good habits. Pack the food in some fanciful way, to make it look like you’re making a special delivery just for him. Use easy kitchen tools like a pizza or a cookie cutter to cut idlis, parathas, etc. into interesting shapes. Make dips out of cheese, fruit or vegetable puree. Kids often enjoy dipping boiled vegetables and toast into their favourite dips. Don’t keep any hard and fast rules as to what should be eaten for breakfast, lunch or dinner. Give your child whatever he prefers during any meal. Be as inconsistent as possible when it comes to food. The more the variety the more there is chance of the child being interested in eating sooner or later. The most important factor in dealing with fussy eaters is to be patient. Don’t be surprised if your child does not show interest in the first few days of the change you introduce. Remember that this is just a passing and constantly changing phase. More importantly, remember that it is a perfectly natural developmental phase of your child’s life.